Dr. Jeff VanDeventer was born and raise in Bloomfield, Indiana and graduated from Indiana State University, then later from Indiana University School of Dentristry in 1989. He began his career as an associate dentist in Bloomfield before moving to Tucson, Arizona in 1994 and opening his own practice. In Tucson he served on the Southern Arizona Dental Society Board from 1998-2003. Dr. VanDeventer and his family relocated to Indiana in September 2003 and began practice in Columbus, IN. They opened the doors to North Park Dentistry in late November 2005. Dr. VanDeventer is an active member of the American Dental Association, Indiana Dental Association, South Central Dental Society, Columbus Regional Dental Society and numerous study clubs. He is also a part-time faculty teacher at the Manatee Community College Dental Assisting School in Sarasota, Florida. 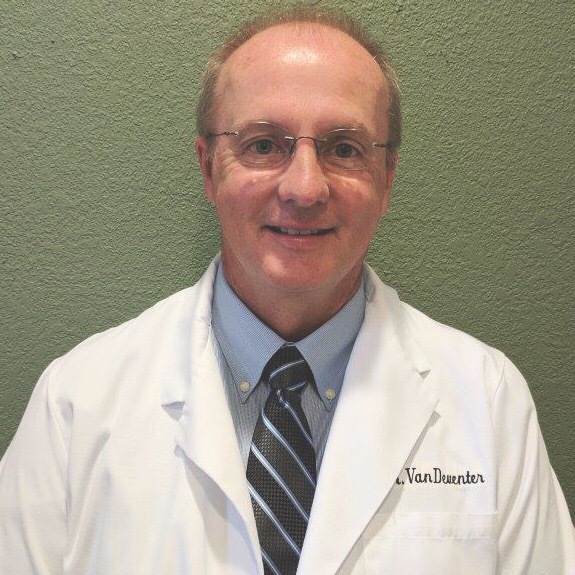 Dr. VanDeventer enjoys learning and applying new techniques and continues to strive to make dentistry more enjoyable and affordable for people. "I am passionate about building relationships with people and having them become very comfortable in coming in to see us." Dr. VanDeventer is married to Kathy (for over 29 years) and together have 3 children; Kristin, Michael and Nathan. In his free time he is family oriented and enjoys playing golf (also caddying for son Michael), coaching and watching basketball, church and the St. Louis Cardinals. Dr. Julie Kern-Anderson was born and raised in Livonia, Michigan, and is a proud Wolverine having earned both her undergraduate and Doctor of Dental Surgery (DDS) degrees from the University of Michigan. She was a member of the Univeristy of Michigan Swim Team from 1999-2003 and specialized in dinstance freestyle. Dr. Kern-Anderson completed a General Practice Residency at OSF St. Francis Medical Center in Peoria, Illinois. She also fulfilled a two-year commitment with the National Health Service Corps prior to moving to Columbus and working in private practice providing comprehensive dental treatment. 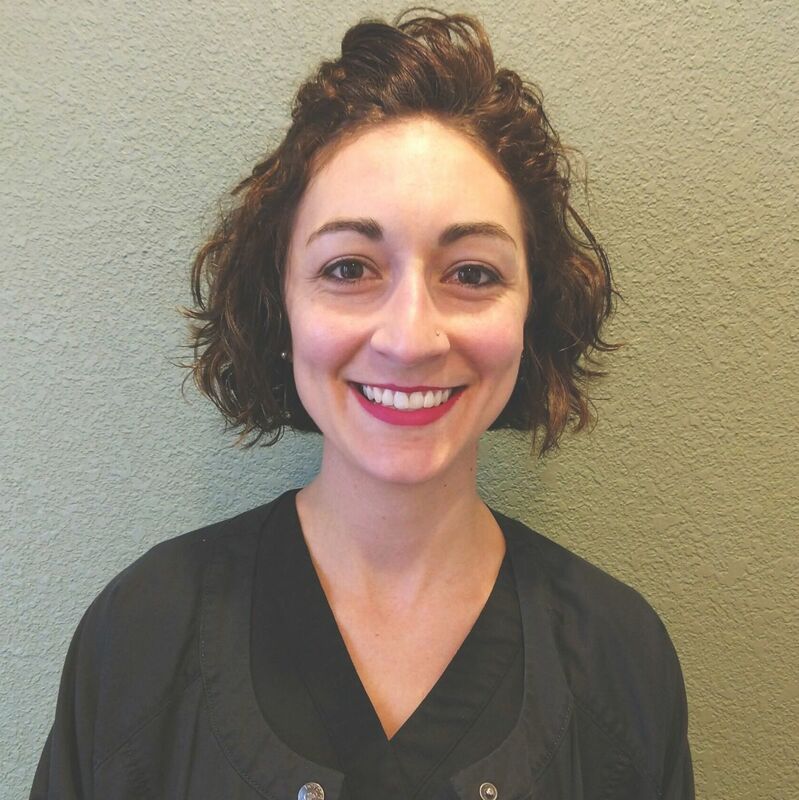 Dr. Kern-Anderson joined North Park Dentistry in October 2016 and brings her enthusiasm for helping others to the practice. "My most meaningful reward comes from working with patients of all ages to overcome their dental anxieties and ultimately develop life-long commitments to health." 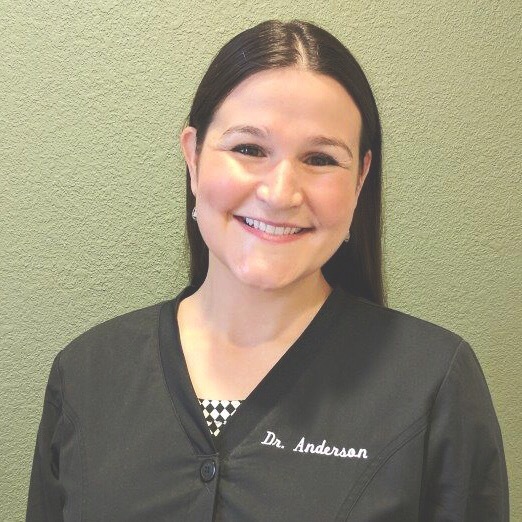 Dr. Kern-Anderson participates in regular continuing education opportunities and is eager to apply the latest dental techniques. She is a member of multiple study clubs and is committed to furthering her education and clinical skills by attending advanced dental courses at the L.D. Pankey Institute. Dr. Kern-Anderson is also an active member of the American Dental Association, Academy of General Dentistry, Indiana Dental Association, South Central Dental Society and Columbus Regional Dental Society. She also participates in the Columbus Young Professionals. Outside of dentistry, Dr. Kern-Anderson enjoys spending time with her husband and their miniature English Goldendoodle, Rocky. She likes working out and visiting with family and friends. Shayley is a Columbus North graduate and Ivy Tech trained dental assistant currently working as our scheduling and treatment coordinator. In her spare time she enjoys spending time with her 3 dogs, friends and family. She loves meeting our patients and helping them to feel comfortable and answer any questions they have. Beth has over 20 years of experience in the dental field; 18 of it as a Dental Hygienist. She enjoys working out, reading and spending time with her husband and two children. Nealy graduated from Indiana University School of Dental Hygiene in 2014 and started working at North Park Dentistry October 2018. She enjoys spending time with her husband on house projects, working out, gardening and being outdoors. 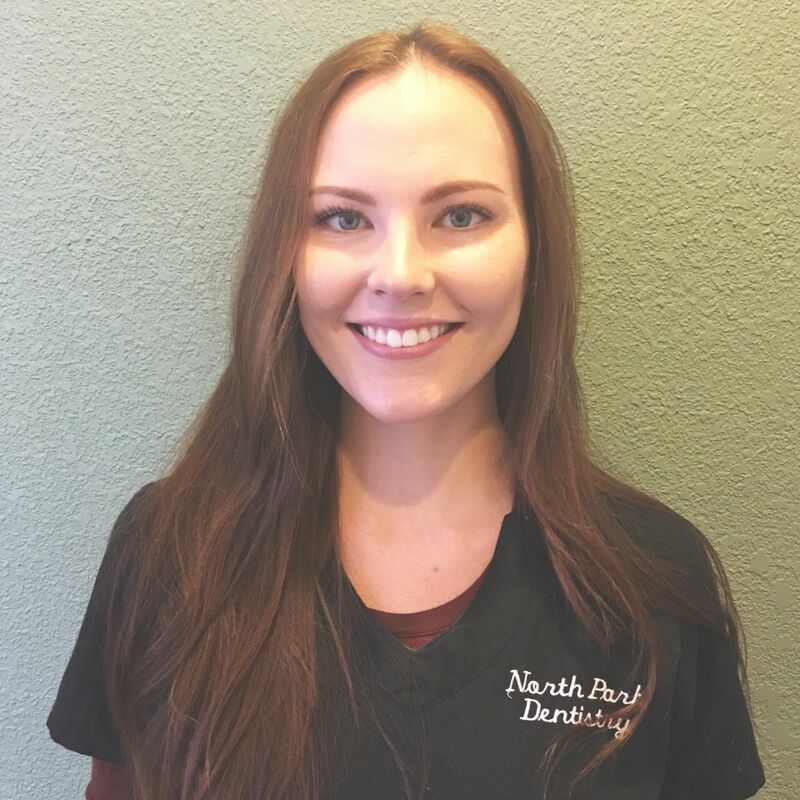 Lauren joined North Park Dentistry in June 2015. She first obtained a Bachelor of Arts degree and then went to pursue a degree in Dental Hygiene from IU School of Dentistry. Lauren has studied Spanish and enjoys working with Spanish speaking patients. She is also a lover of the outdoors and enjoys spending time with her husband and two Labrador retrievers. Kerri has 20 years experiences in the dental field. 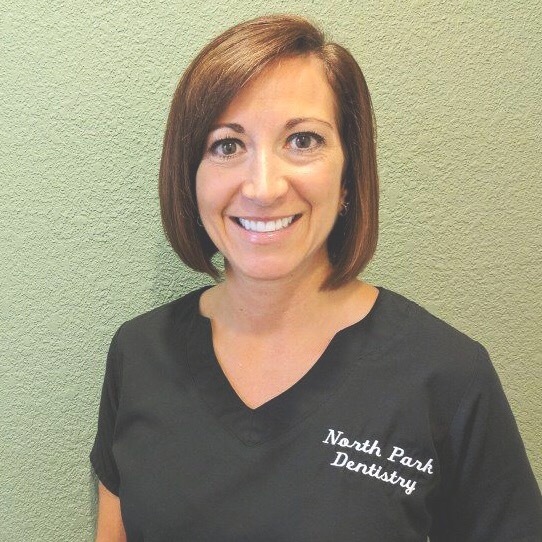 She joined North Park Dentistry in 2008. Kerri enjoys spending time with her children and attending their school activities. Courtney studied dental assisting at Ivy Tech, where she got her Expanded Functions certificate. In her spare time she enjoys being with her husband, reading and outdoor activities. She and her husband are expecting their first child mid summer 2019. 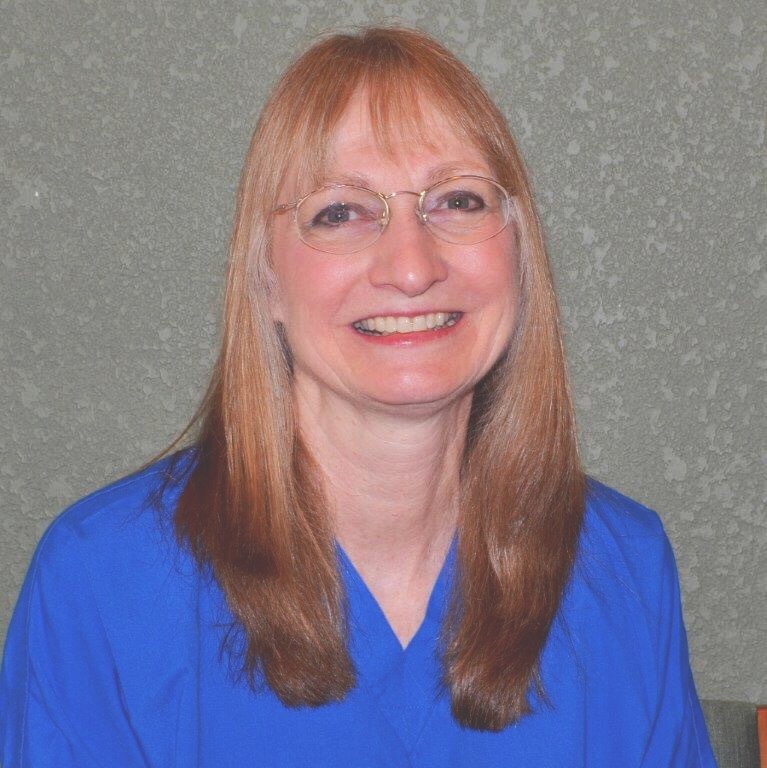 Judy has over 30 years experience in the dental field. 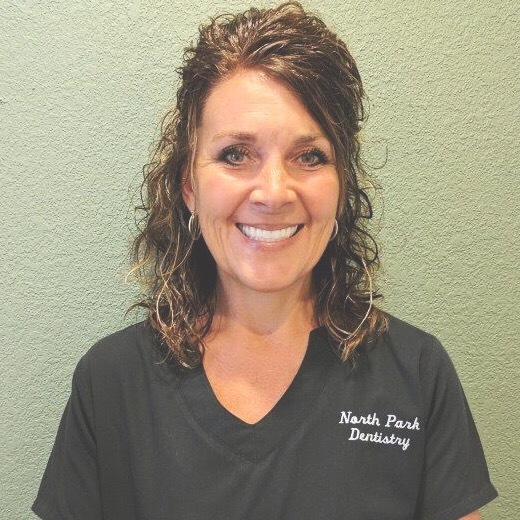 Judy joined North Park Dentistry in 2006. She has been married over 30 years and is a two time cancer survivor.